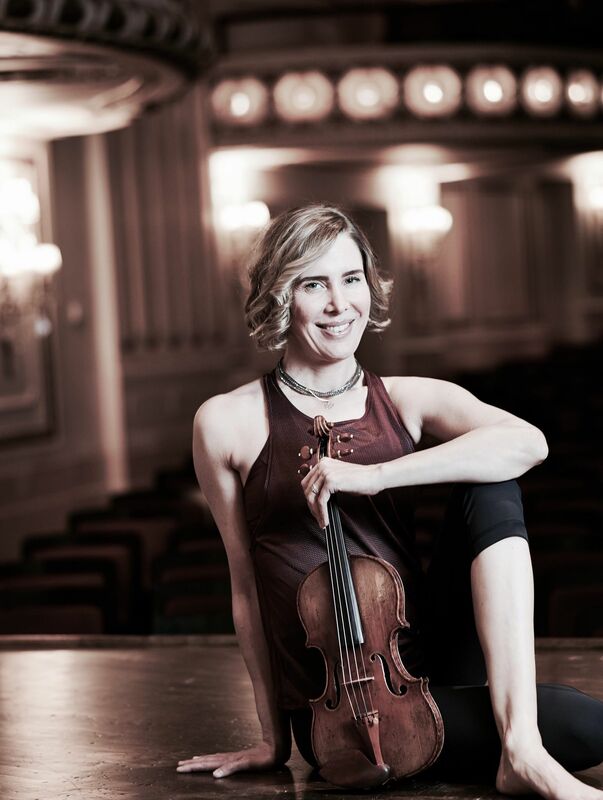 Violinist Heidi Harris won her first orchestra job in the St. Louis Symphony during her senior year of college at the New England Conservatory. A few years later she left the STL Symphony to join the Chicago Symphony Orchestra, where she remained for three seasons. In 1998 she returned to St. Louis as Assistant Concertmaster, and shortly thereafter earned her current position as Associate Concertmaster. Harris began her musical studies on the piano at age three, and began studying the violin at age four. At age 13 she made her solo debut with the Utah Symphony under the baton of Joseph Silverstein, returning again to solo with the same orchestra at ages 15 and 19. After graduating high school from the Interlochen Arts Academy, Harris went on to earn her Bachelor of Music degree from the New England Conservatory, attending under full scholarship. Harris also served as an extra in the Boston Symphony Orchestra under Seiji Ozawa, participating in recordings with Bernard Haitink, as well as touring with the BSO while still in school. Harris has soloed extensively, as well as given recitals in the U.S. and Europe in such venues as the Isabella Stewart Gardner Museum in Boston, and the Mozarteum in Germany. Her most recent concerto appearances have been with Leonard Slatkin conducting, in performances of Bartok’s Violin Concerto No. 2, and with David Robertson conducting, in performances of Mozart’s Violin Concerto No. 4, both with the STL Symphony. As well as recital and solo performances, Harris has served as guest concertmaster of the Seattle Symphony and the Phoenix Symphony. In 2010, Harris was presented with the Mabel Dorn Reeder Award. This award is given every five years, and was created to recognize exceptional leadership and contribution in the community. Harris was the first person in the STL Symphony to receive this award.